Moist banana cakes with some spices... and lovely vanilla frosting. Bananas' season has ended... but my customer wanted banana cakes for birthday cupcakes. waiting for fruits in season.. They are always full of flavour!! I made hearts on the top with sugar fondants. It is very fun to work with and great for decoration.. Working with sugar fondant is a good way to present your idea. 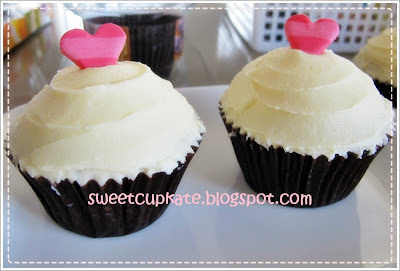 ﻿These cupcakes are for my dear friend. These are banana cakes and dark chocolate mud cake. 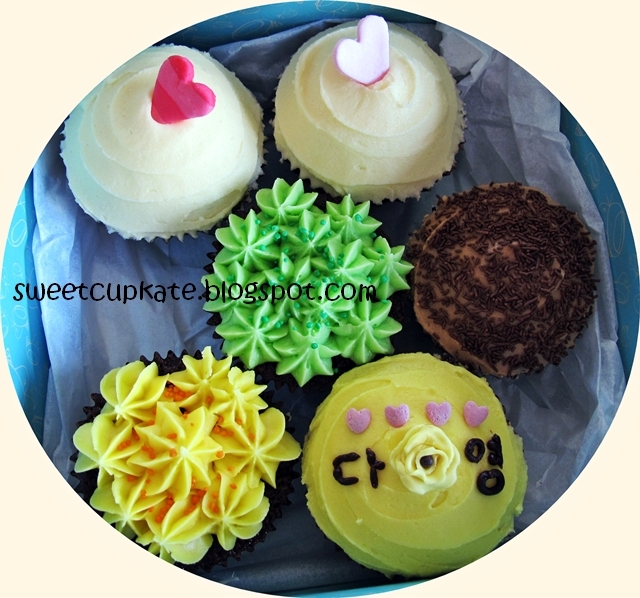 I also decorated one cupcake with a sugar rose I made..
she feels special when she recieved this cupcakes' box. I hope you have a delicious day! !